Less than 6 months distance since my previous trip, I am back to Hamburg. I don't expect to see the sun here - never happened before, but was told that there might be some shining hours here from time to time - but at least I'm lucky enough to not be touched by any drop of rain. I am ready for some important meetings later in the afternoon, but still enough time for catching up with places I haven't seen before. 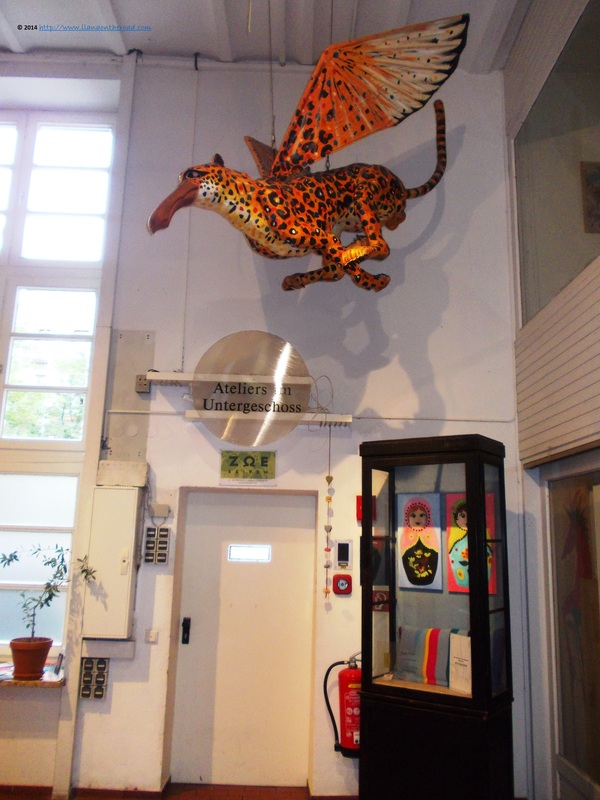 First on the list, the Museum of Arts and Crafts, situated very close to the train and bus stations. It was designed at the end of the 19th century by Carl J. Chr. Zimmermann. 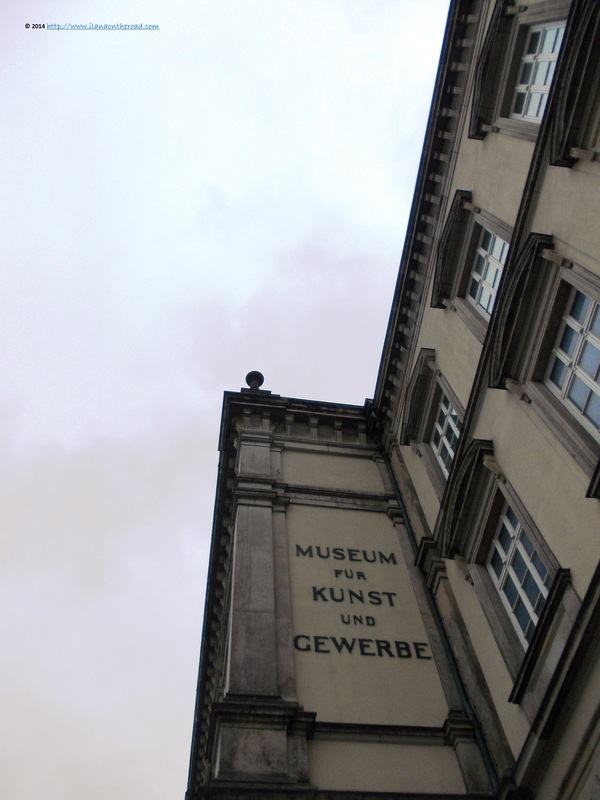 It integrates brilliantly as parts of the inner courtyard the 17th century Renaissance building of the former hotel Kaiserhof. 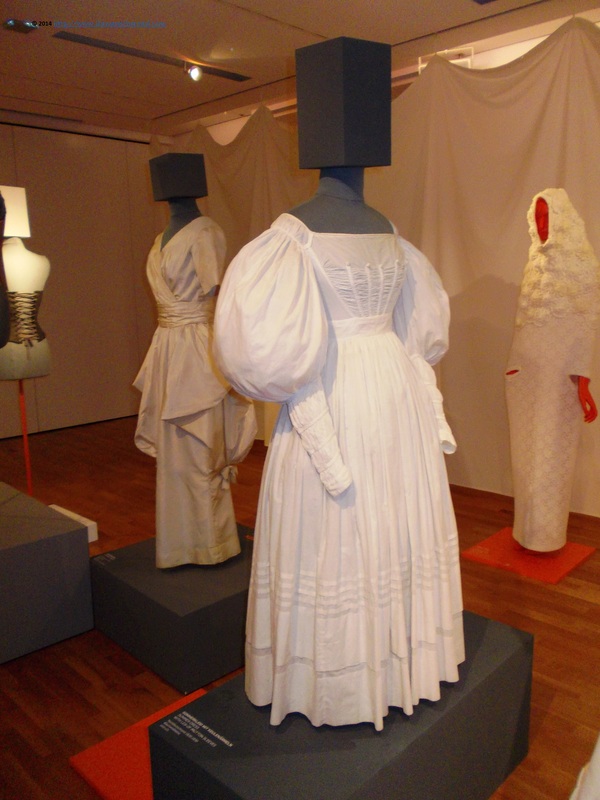 From a very challenging exhibition about Insights into fashion, where old dresses are reshaped while simulating various effects and optical illusions, to posters by Andy Warhol - whose successes were often associated to Germany - I have plenty of opportunities to view new things. Making a selection is hard, but my time is relatively limited. 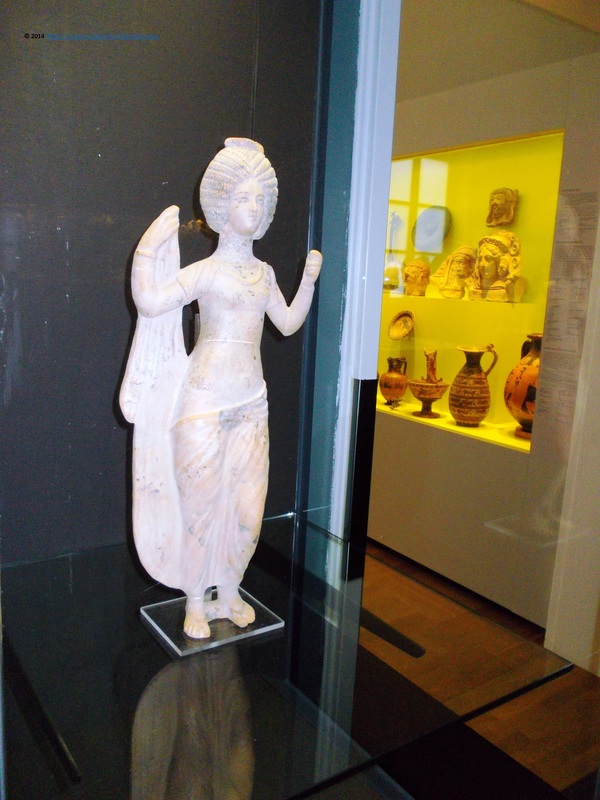 I am set for the collection of Renaissance and Near East sculptures, the fine collection of travel instruments and another one of musical instruments. 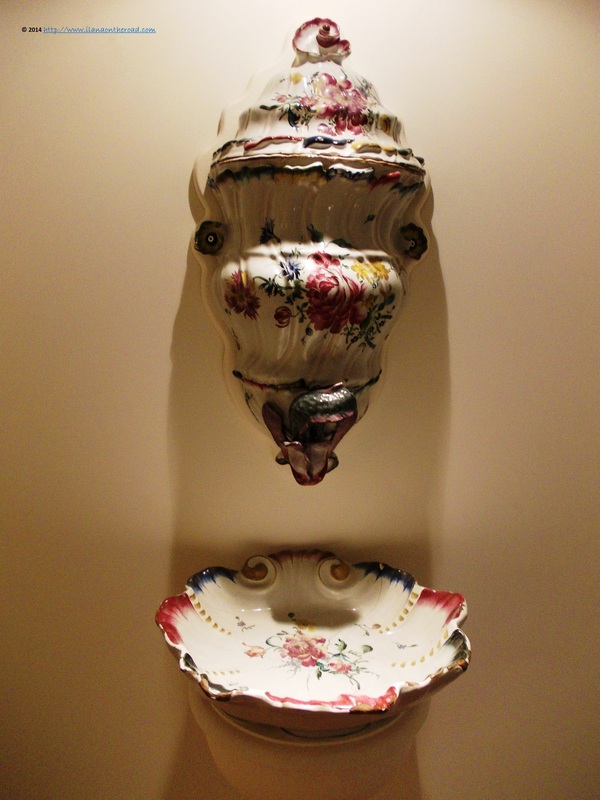 The porcelain collection is also worth seeing, bringing more insights into the evolution of table manners and the European civilization as such. 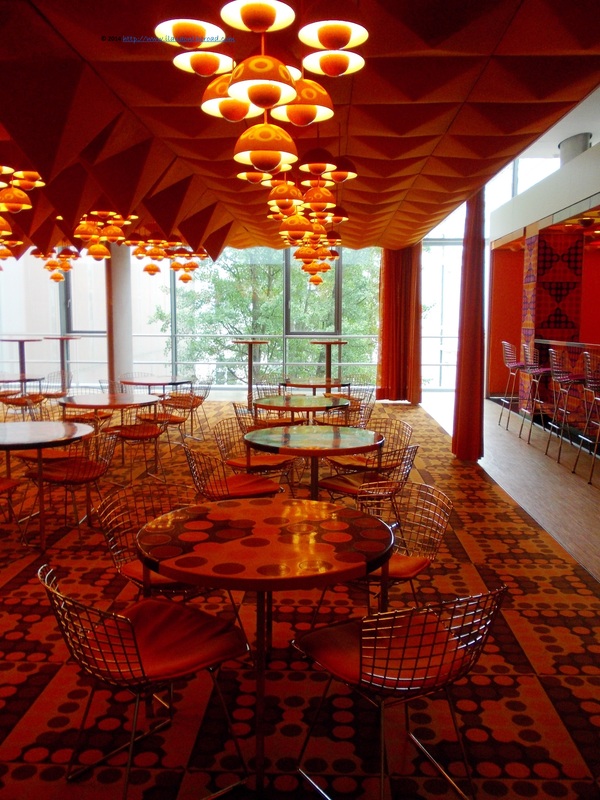 The museum also hosts the famous Der Spiegel Canteen, one of the best preserved pop design work by the famous Danish designer Verner Panton. My Berlin friends originally from Hamburg are often going back home for the weekend, especially for attending various cultural events. I am on the way to check why they are so proud of their local cultural heritage. 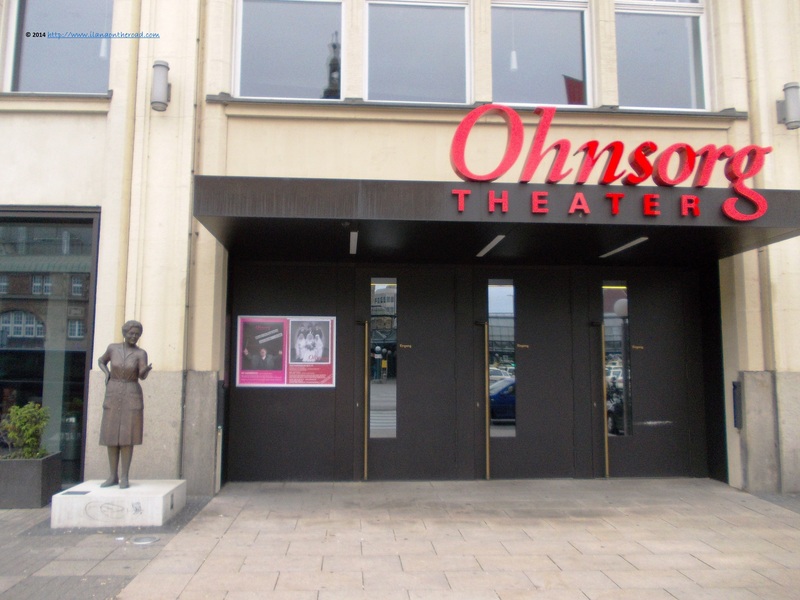 At the Bieber Haus is situated the very popular Ohnsorg Theater. 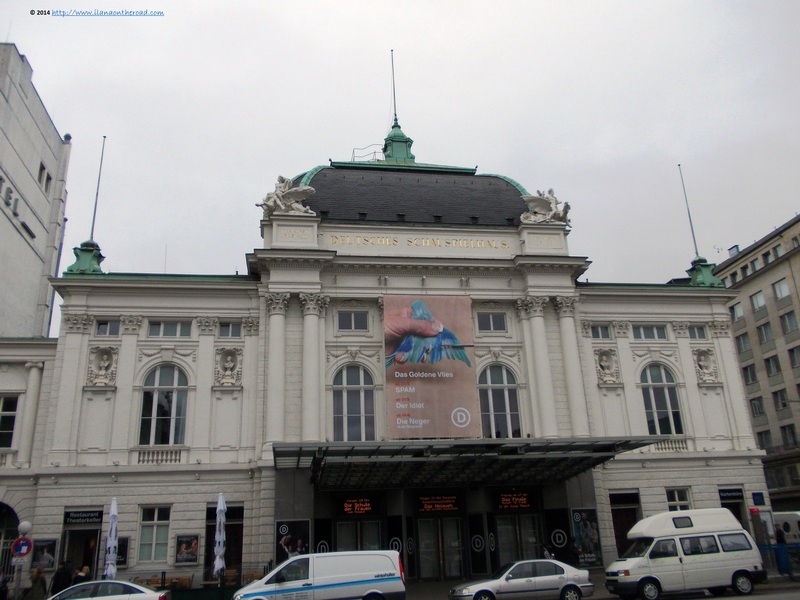 A couple of minutes away, there is the more classical Deutsche Schauspielhaus. 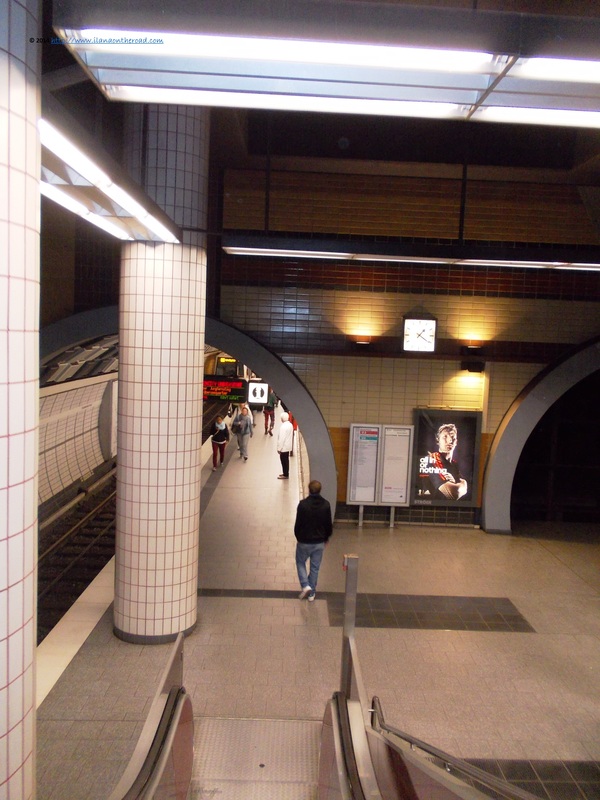 The predominant colour of the buildings is the brown reddish of the typical trade houses, but while observing the architecture on Kirchenallee, Large Reihe or Holzdamm, I notice more white, some with some small golden touch that brings a lot of elegance and distinction to the ensemble. 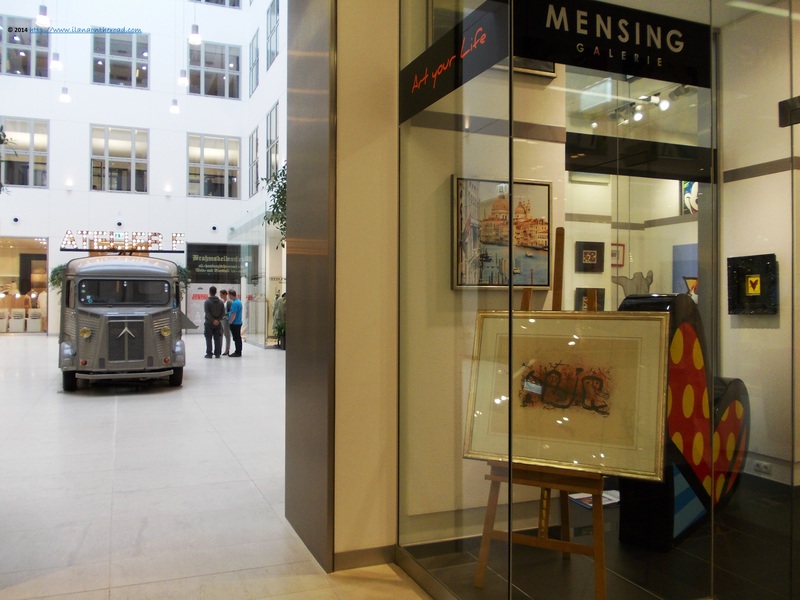 On Koppel 66, the House of Art and Crafts offers to the artists permanent exhibition space and workshops. 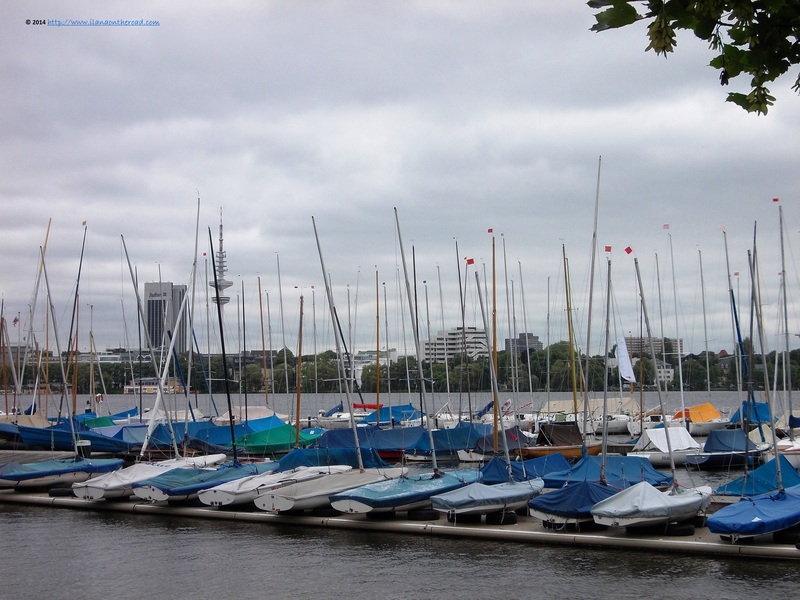 A beautiful maritime view on An der Alster makes me forget about bad weather or the difficulties of properly understanding the local architecture. A quiet corner with lazy goose and boats waiting to be used in the near weekend is an example of what I found there. The schedule is calling - almost screaming - and I am trying to save time by using the metro. As in the case of Munich, the trains look like pieces of museums from the 1970s. But they work fine and I arrive in time for my meeting. A meeting - my main reason for visiting Hamburg - that, surprise, is cancelled; but looking on the full half of my glass, I see more walking and travel writing inspiration in the next hours, so I move forward. Soccer creates huge passions in Germany, as each region and big town has its own representative team to die for. 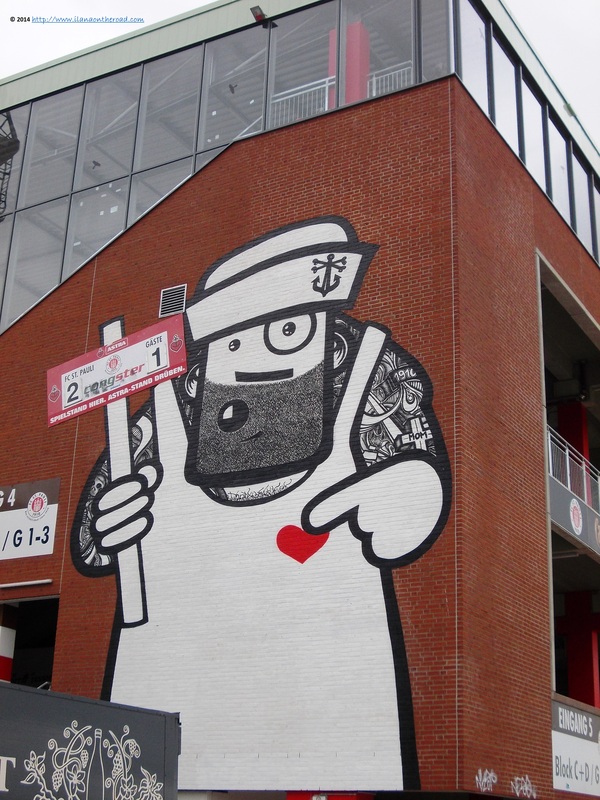 Hamburg has St. Pauli, with a huge stadium surrounded by massive street-art. As there is no match taking place, the area looks good, even funny, but I would not like to be around in the middle of a serious sport confrontation. The downside of the winter/late autumn travel in Germany is that the parks and botanical gardens are looking pitiful: empty, naked, sad. 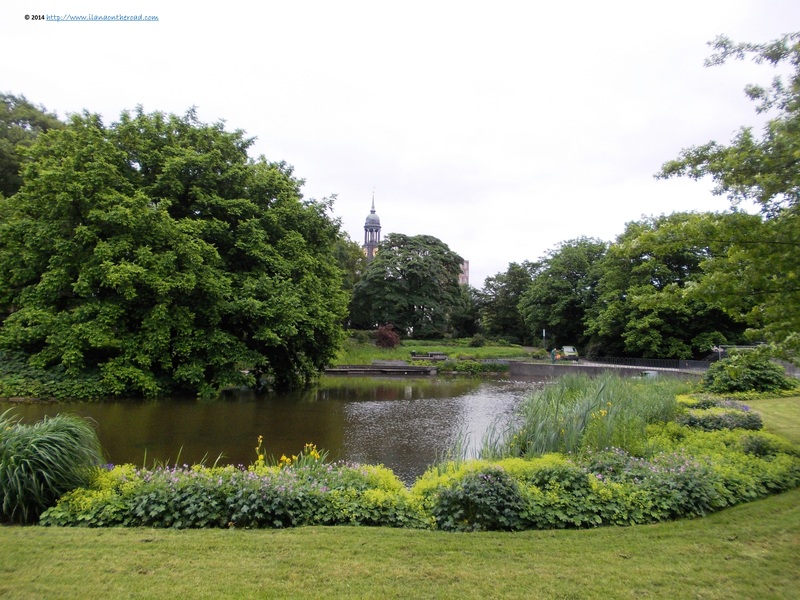 In the spring, Planten un Blomen - in the local dialect, 'Plants and Flowers' - is blooming and the beauty of the nature makes me forget the annoyance that sometimes things are not always going according to the schedule. At the view of the fountains in the middle of the manicured lawns and the colourful roses I feel much better. When I was heading to 'Planten un Blomen', I felt a bit irritated seeing a huge stone head sprung from behind the big green trees. I was familiar with the monumental architecture predominant in this part of the city from the previous trip, but this time, it was something much bigger. I hurry up to see what is all about, and I am face to face - metaphorically speaking - with Mr. Bismarck, represented as a gigantesque Roland. Roland was the hero of the historical battle of Roncevaux. His presence in many German and European towns - the oldest representation was in Bremen, back in 1404 is a symbol of freedom and independence. The local legends predict that as long as Roland is guarding over a city, the freedom is guaranteed. 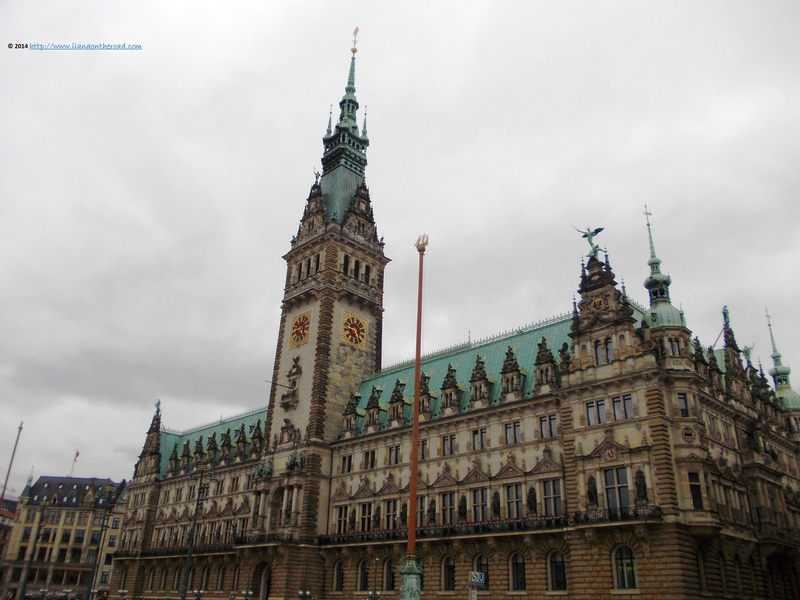 Hamburg is another proud independent city but looking for more guardian heroes. 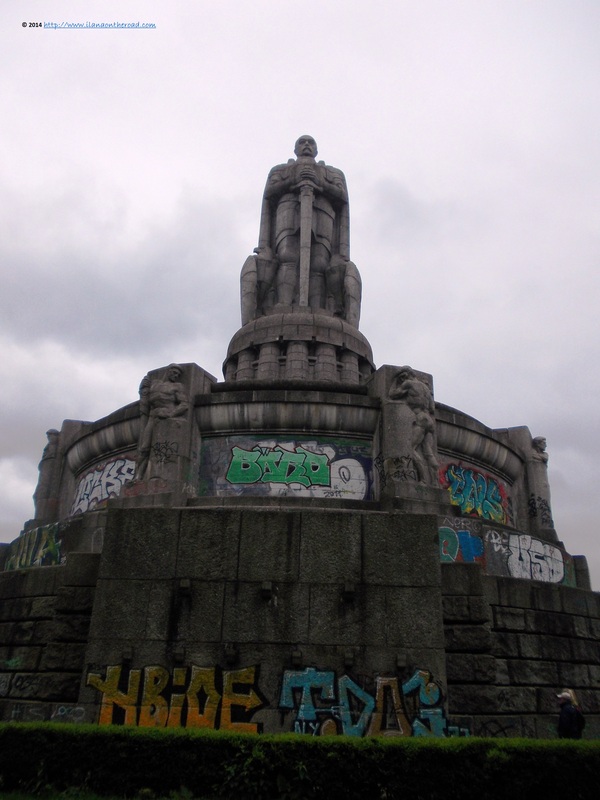 The representation of Bismarck was created by the architect Emil Schandt at the request of the local authorities and the works lasted between 1903-1906. 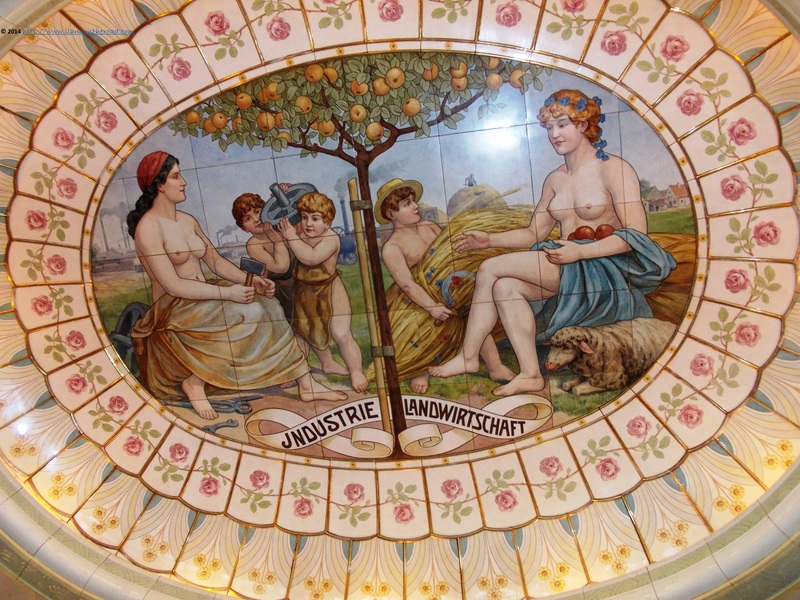 According to the metaphorical representation of the statuesque group, Hamburg is portrayed as one of the 'doors to the world'. For my modern and minimalist perspective on history, the entire ensemble is overwhelming and after I make the round, I am happy to be back in a little park with buildings of normal dimensions. Near Gansemarkt, I find a cute refuel of energy: Waku Waku bio eatery, with a design furniture inviting to collaboration and dialogue, and many delicious veggie treats. I take my coffee, trying to distinguish the recipe of the spiced smells that fills the space. Hamburg has a chic side that I noticed till now only by observing the street fashion. After wandering the commercial galleries, I know that the local people have a lot of temptations to purchase their unique designed clothes. 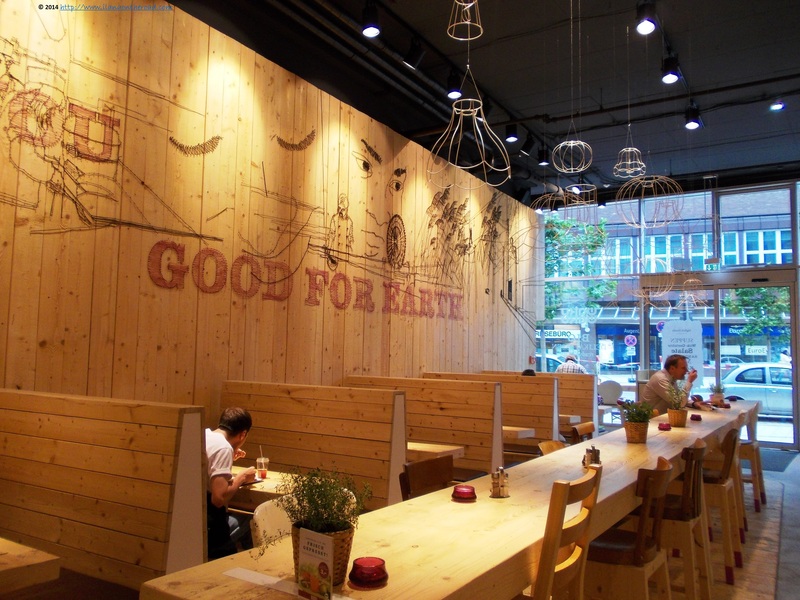 Hamburg has its own brands and trends. For instance, Budnikowski - or Budni - drugstore, an alternative to the popular Rossmann on the market from the beginning of the 20th century, that in addition to the classical goodies, distributes many natural soaps and makeup. At the Galerie Kaufmannshaus, I fell in love with the fashion designers from the Concept Store, especially Sahra Tehrani and Negassi. 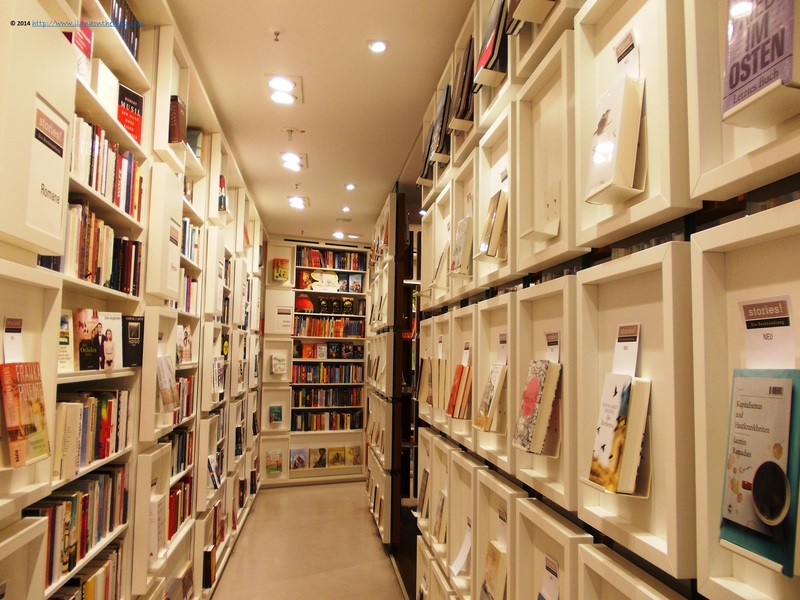 I got lost in the maze of the Stories! bookstore, offering special discounts for English books every Friday, felt inspired by the fine jewellery from Anamundi and had a big laugh when I see the media-inspired menu from Broscheks Restaurant - Green Column, North German Editorial, Editor-in-Chief's fish dishes are only the funniest examples. Life is a funny story, depends how much courage you have to keep your sense of humour whatever the circumstances. 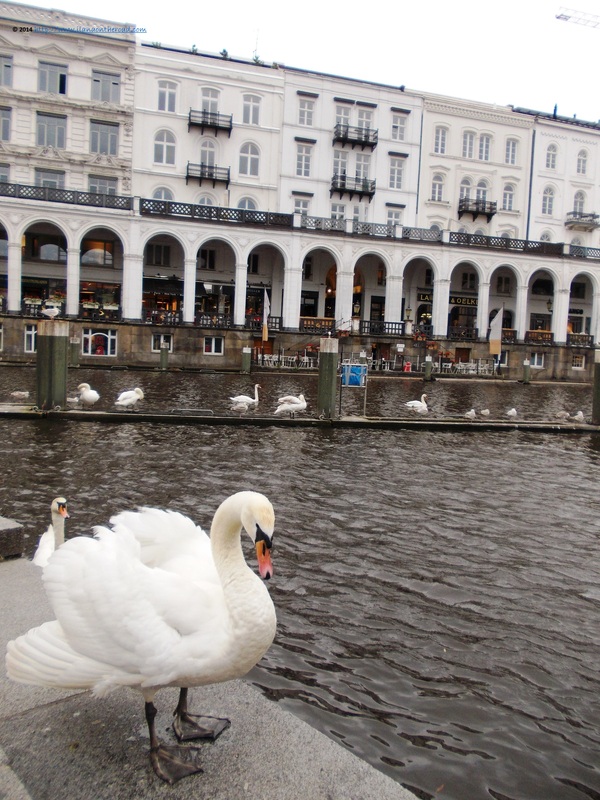 The shopping galleries with their busy people and temptations are exhausting, and I return in the central area of the old city - Altstadt , resting near some elegant swans busy making their toilette. Crowded with tourists during the weekends, the square near the historical townhall is now empty, allowing me to have one more look at the imposing building. The last stop of the day is the glamorous Art Nouveau Paris Coffee on Rathausstrasse, which looks and sounds French - train your voice to speak a bit louder as usually because the tables are dangeroulsy close to one another and the big hall of voices makes communication a bit difficult - , but with some thematic paintings on the ceilings inspired by the Hamburg trade imaginary. A tea and mouth-watering macaroons are the perfect companions for my meeting with a beloved friend I haven't seen in five years. As I promise to my friend that the next meeting will not be in 5-year time, I make a wish that we'll agree to meet again in Hamburg.